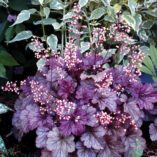 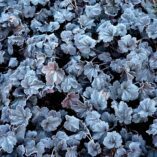 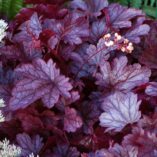 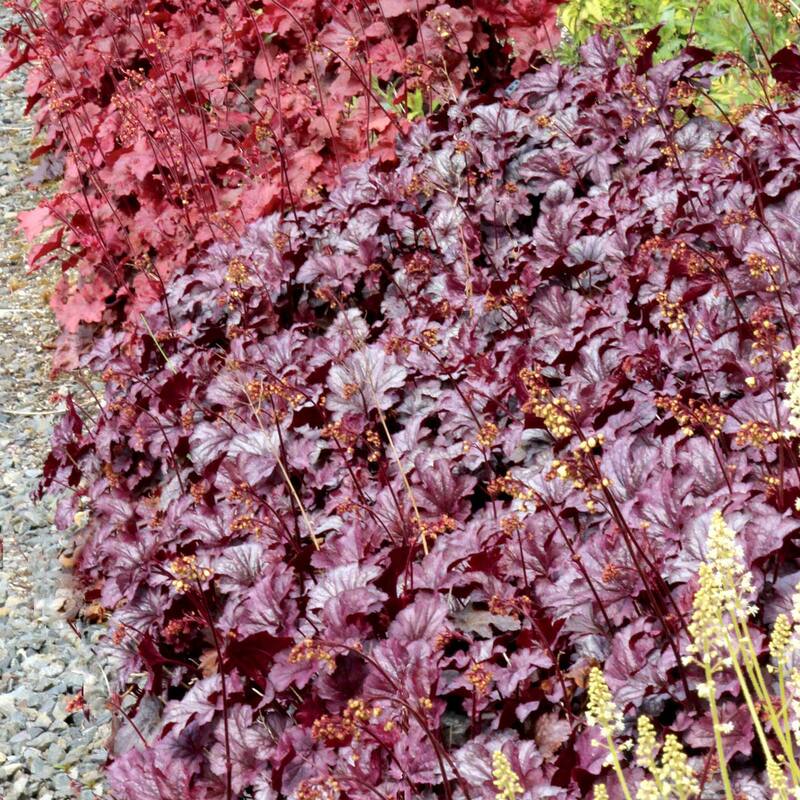 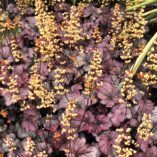 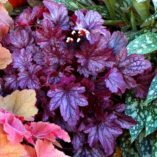 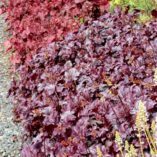 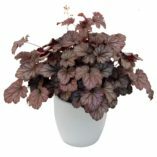 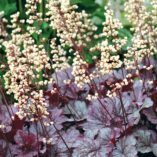 Heuchera ‘Shanghai’ | TERRA NOVA® Nurseries, Inc. Tight mounds of silvery-purple leaves set forth white flowers on dark stems. 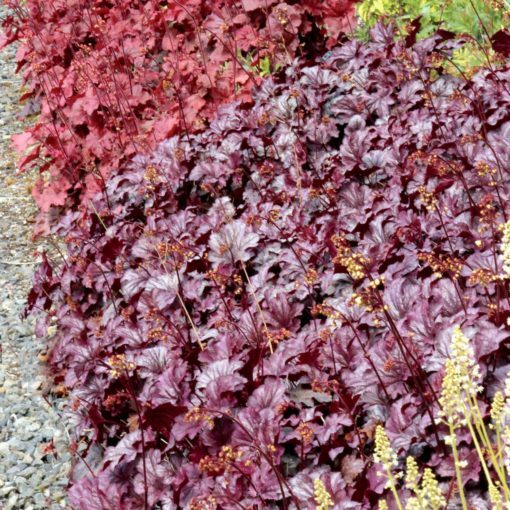 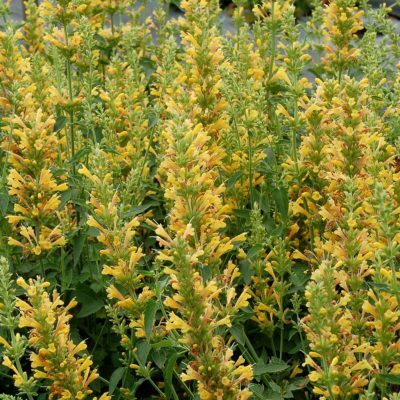 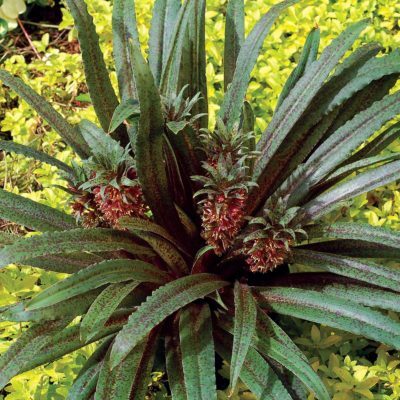 'Shanghai' had the best foliage through the worst winter in the last 40 years at the TERRA NOVA® test gardens. 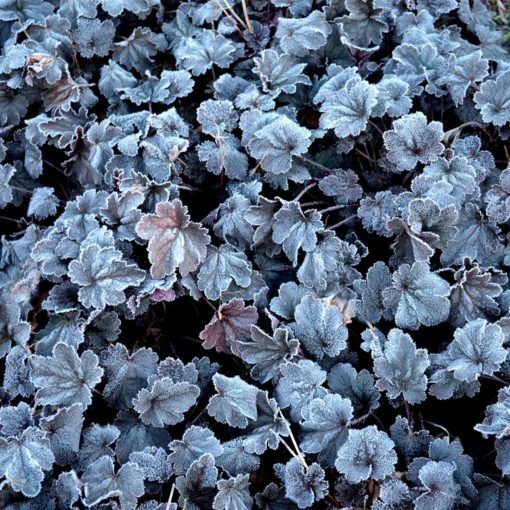 Ice, snow and rain didn't phase it! 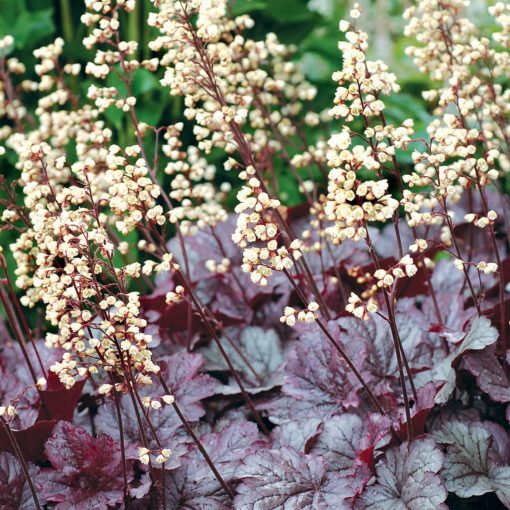 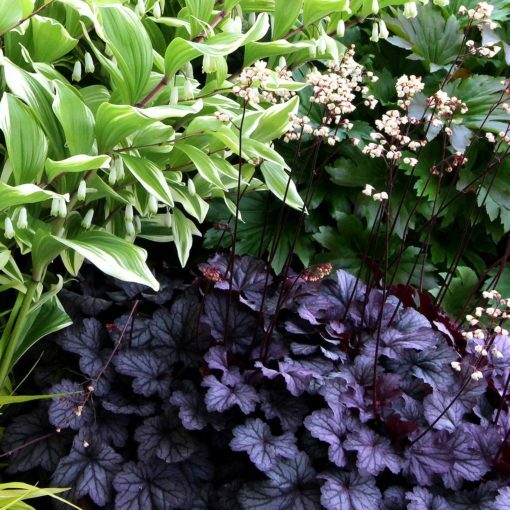 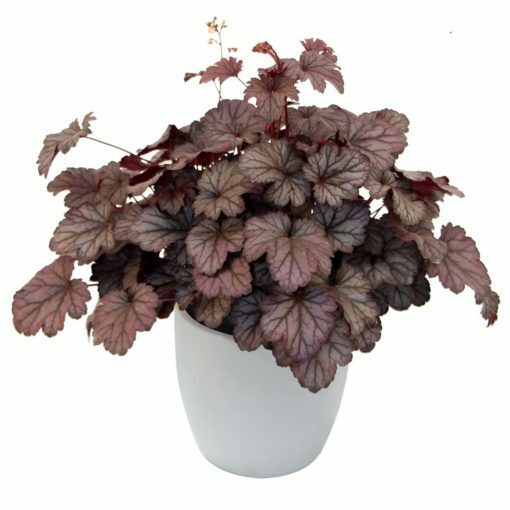 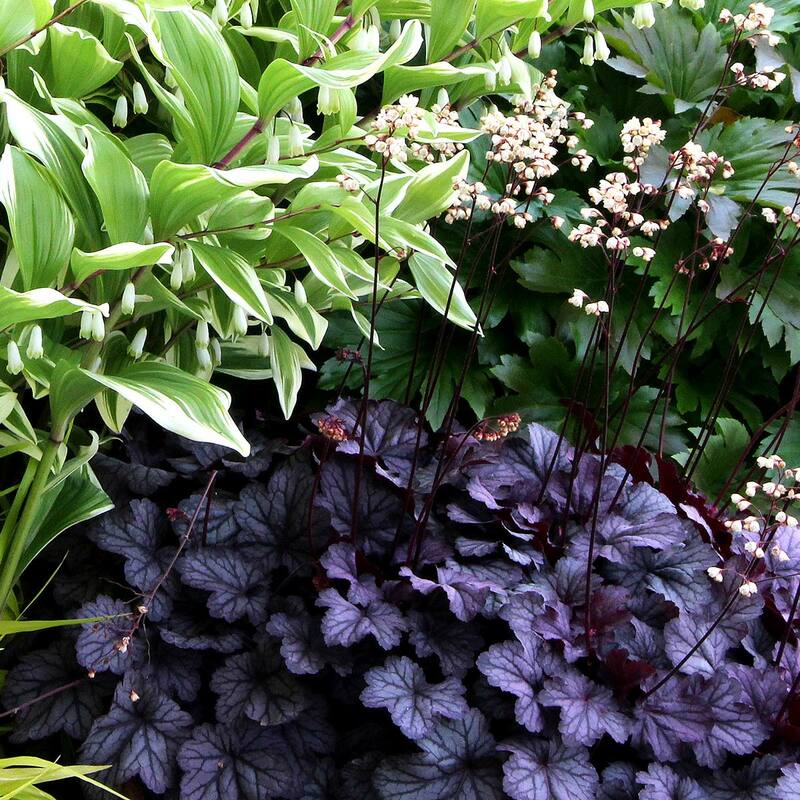 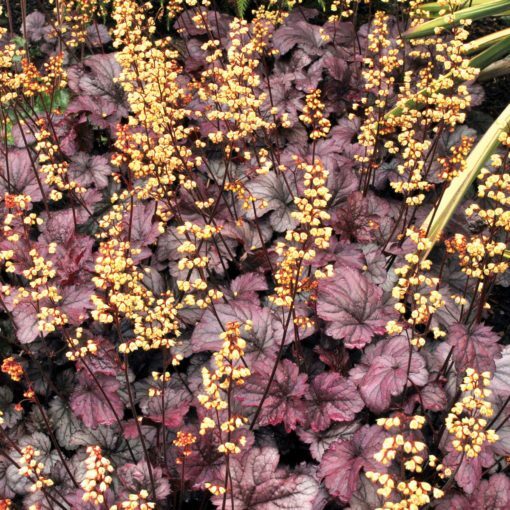 As Shanghai is a beacon to China, so Heuchera 'Shanghai' can be an inviting beacon of metallic silver to your garden. 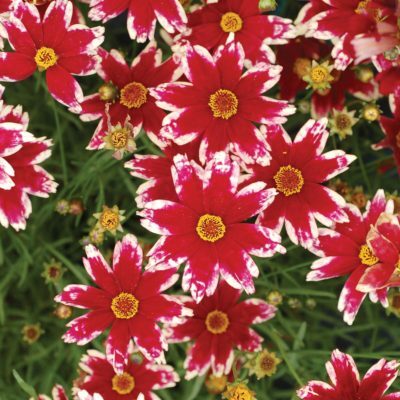 Reblooms all summer. 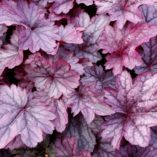 10" / 12" / 18"
It is a small leaf, front of the border type with purple leaves and white flowers. It repeat blooms like all the "city" named Heuchera. 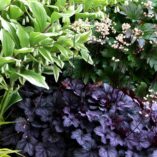 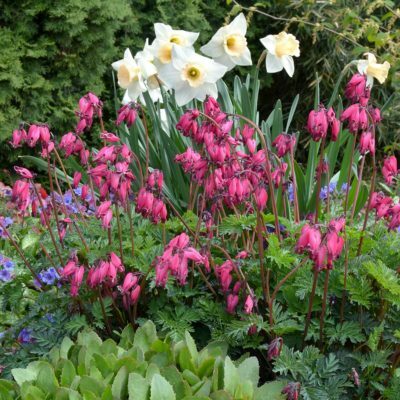 Edging, borders, container, mass planting. 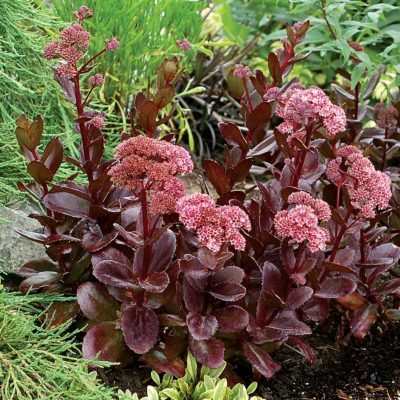 Lift and replant in late summer or early fall every few years with the crown just above the soil.